This beautiful, fun, inspiring and super artful 12 minutes Movie shows the awesome creativity of 8 and 7 year old Davide and Gabriel. 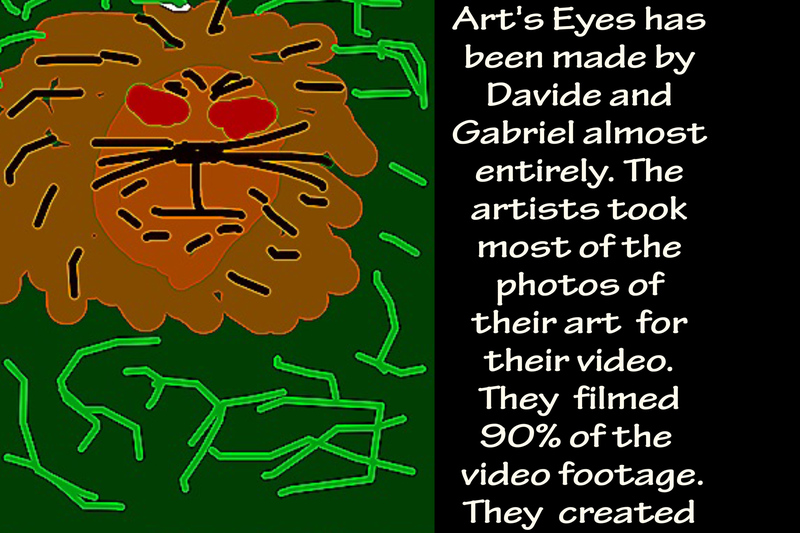 They are the creators of all digital art, all the handprints, and the animation sequences. They also took all the still photos and 90% of the video footage. They employed different methods to create their art in a joyful and fun experience.They continue to create amazing art all the time. Here, in this movie you get to see their favorite pieces and to listen to the great stories behind each picture. Davide Dallago was born in the Canary Islands in 2004, his father Francesco Dallago is a Hair stylist and his mother Sylvia Love Johnson a Writer, Actress, Producer and Filmmaker. Davide has over the past year taken a great liking to film making, he has directed and shot several short vidios. He also enjoins photography and has a great eye for detail and light. 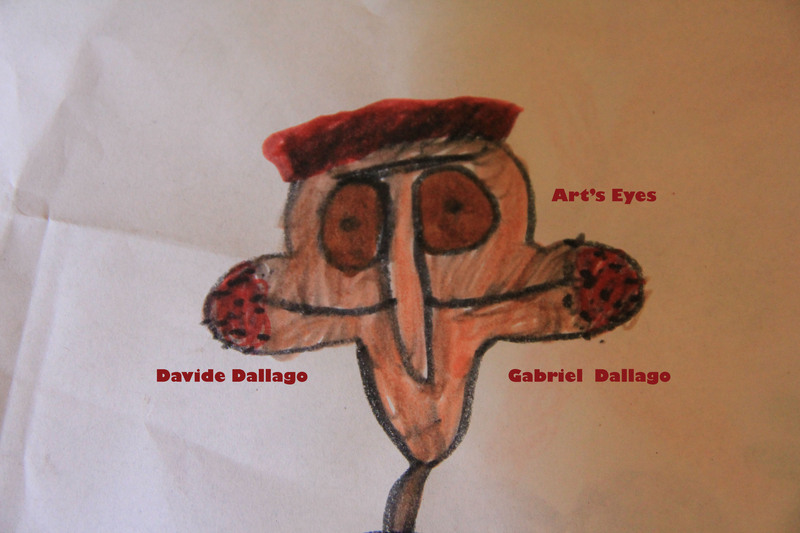 Davide is as young and 9 years old, although he was 8 when he directed and acted in Art’s Eyes. 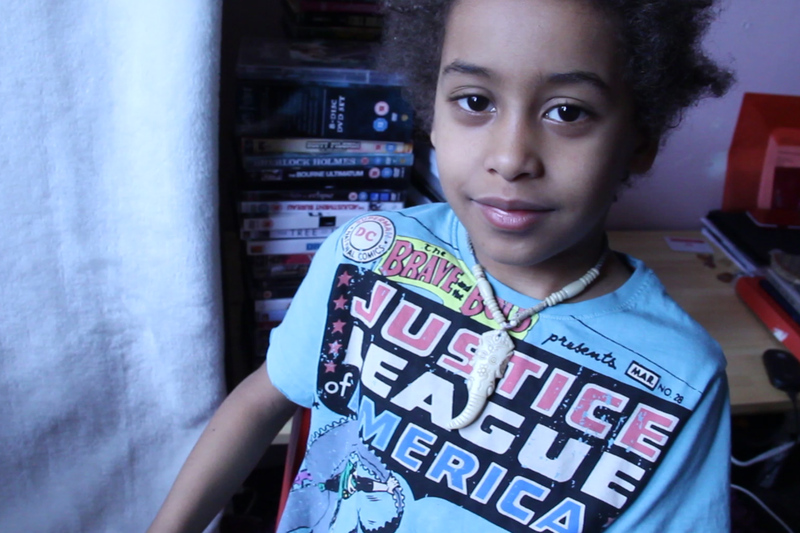 The Producer of the film Sylvia Love Johnson, had the idea of creating an art video about the children’s art, she then handed her professional filming camera to Davide, employing him for the job. Davide set off choosing the stills to be taken, creating the settings in which the art pieces will be staged and producing additional art pieces for the film. His brother Gabriel and himself decided upon the stories they were to tell about their art. Davide has always loved art and all related subject he has one more credit as an actor in a short film made in 2011 “The Explorers” He attended a private academy of Dramatic arts for 2 years from the age of 5. He is currently working on his third piece together with his brother, a short film titled “The Boys from the Forgotten Paradise” in which they will both star. 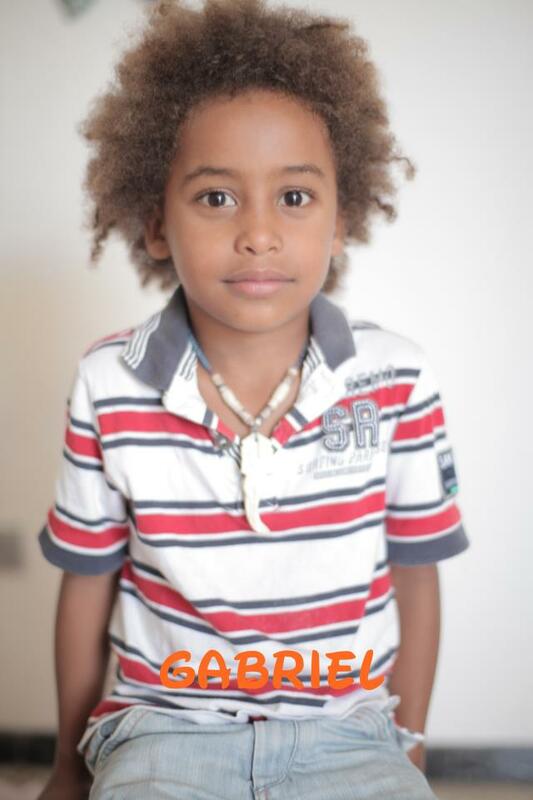 Davide’s brother Director Gabriel is 7 years old he was born in the Canary Island in 2005. Gabriel is an intrinsic creative child, always finding new ways of producing new master pieces with any material he finds at home. 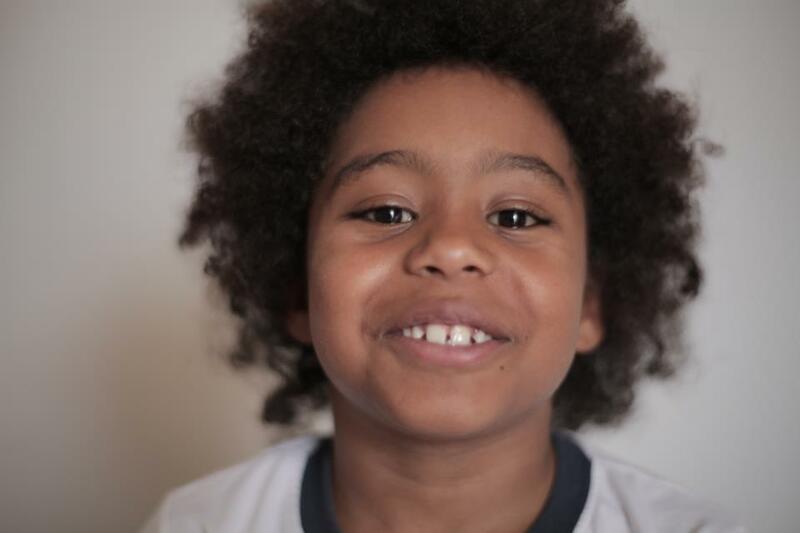 He is always sharing his dreams and has decided he wants to be an actor and an inventor. He often speaks of the plans he has for his future creations. He is a natural inventing characters and telling stories that, both, make laugh and warm our hearts. His first film credit includes “The Explorers” and adventure short film. He is one of the creators of Art’s Eyes. He will soon star in the Drama Short Film “The Boys from the Forgotten Paradise” alongside his brother Davide. My children create constantly. Art is the way they play and the way they explore life, the way they test their abilities their findings. They way the discover what they are capable of making. But most of all my children are story tellers and they use everything they find through the day to tell a story; it could be a funny thought, and image, a toilet roll. Story telling is the way they play, inventing is part of their daily routine, it is the natural process of growing up, the most creative way to learn, from emotions to skills, art is the vehicle they use to advance and develop as amazing human beings. Surrealism aimed at capturing life through dreams as an attempt to escaping restricting boundaries, notions, ideas and concepts that detach the soul from its fundamental freedom. In the exercise of experimental art, realism has been masked with surrealism in the search for the purest for of creativity, that emerging from the subconscious of the artist. Andre Breton recalls that children are without a care in the world. Children don’t require the help of dreams because they constantly use their inbuilt genius force to create, it is the way they grow and learn, it is a natural state at childhood. 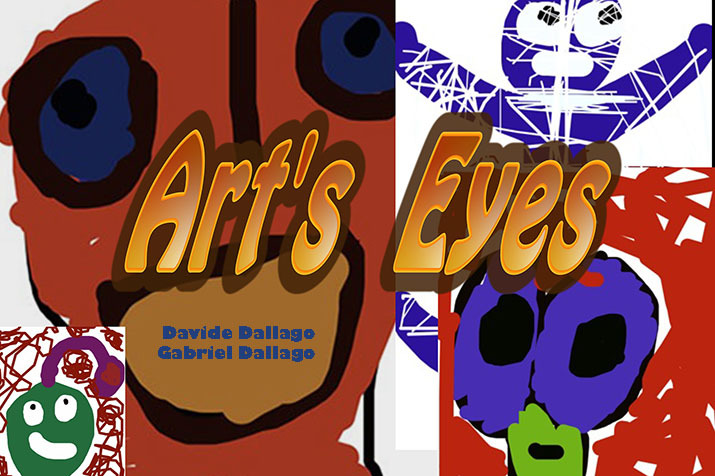 The creation of Art’s Eyes, step-by-step is a common play day for the children, the invent stories, they act them out they create other beings and scenarios, they illustrate their dreams, yet their dreams are not separate from their reality, they are a vital part of the play and development. 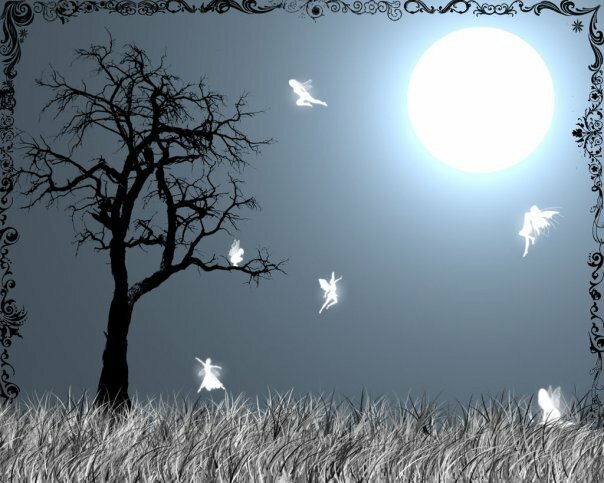 Children walk hand in hand with their imagination, what adults call dreams and illusions children see as their best friend while playing. The experiment served to find the purest expression of freedom, determining what motivates creation, invention, and concluding that creation is a fundamental part of growth and enlightenment; it is natural not just to a few with talent, but creation is an inbuilt quality of all people. We have all been children and we have all experimented this. In order to follow that creative drive in its purest form during production it was important to resist the temptation of planning or arranging by script or structuring anything. 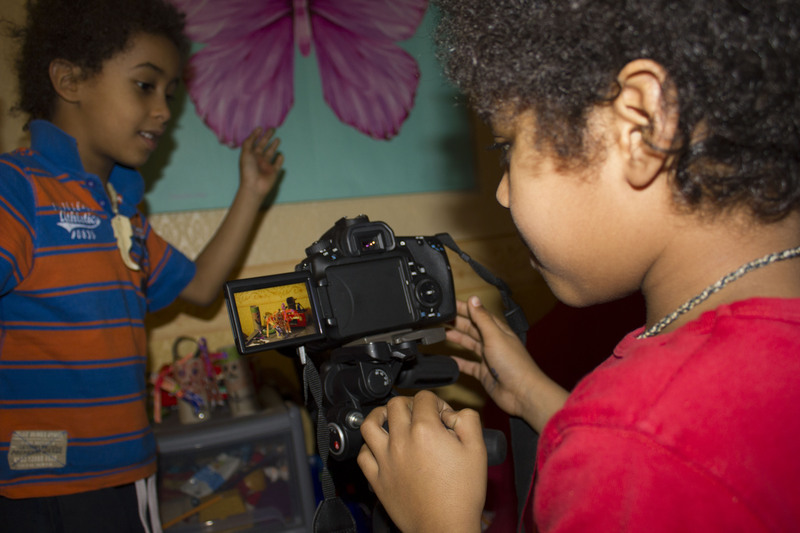 The children were to simply share their art while playing to be film makers. They immediately came up with ideas that would form elements of their creation. 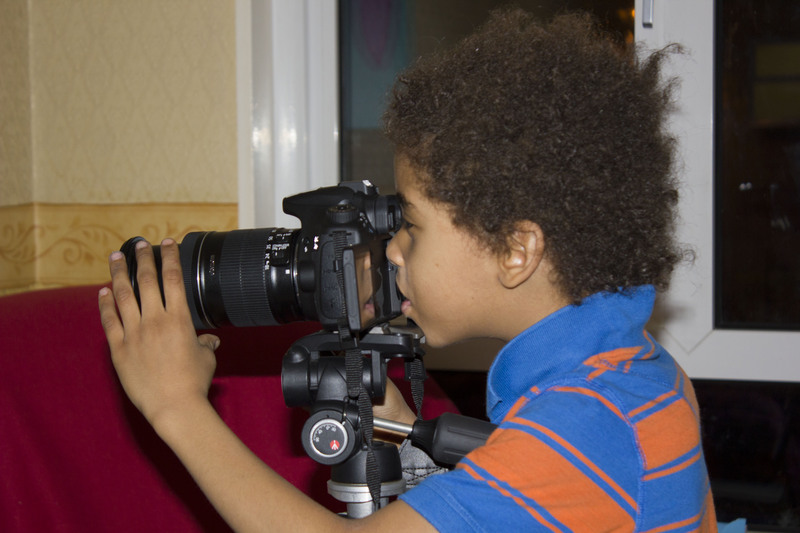 It was critical the we (the adults) did not stand on the way, with our preconceived ideas of what film making is, so we could follow the children’s drive in the search for the absolute freedom children experience naturally. From impressionism to cubism and from constructivism to surrealism, all forms of art; literature, music, film, demonstrates the tendencies adopted through time and utilise to express individual ideas and emotions as well as collective states of being. Through a study of several works of literature, theatre and film I can attempt to call “Experimental” by definition, a essence of collective feeling expressed via consistent or inconstant elements which are found clearly or not in the subconscious through dreams and illusions or visions, to be let out freely in the form they might choose to be expressed by the artist conscious creative method. During 1914-1918 the WWI most artist where associated with freedom of expression, the Pre-War Avant- Grades were killed or displaced. A new art emerged as a direct reaction to this. One can say that, from the birth of surrealism we sought to discover, thanks to cinema, the means of expressing the immense power of dream and employ this force to serve our fundamental need for creating by detaching from that limits, from the boundaries we find with the conventional. Abstract film, cine poems and lyrical abstraction, dada and surrealist Film, underground film, structural film and video art present a clear experimentation with camera, camera lenses, sound and narrative. In most cases a conscious alienation of cultural patterns, conventions and mainstream practice, challenges or questions the common practice of our art. The production of Art’s Eyes, raised a big question in the performance of this conscious alienation. Since children perceive and express without restricting patterns and through the natural stream of their imagination. An effort to discard culture or remembrance could have become a barrier for the natural creative flow of the project. 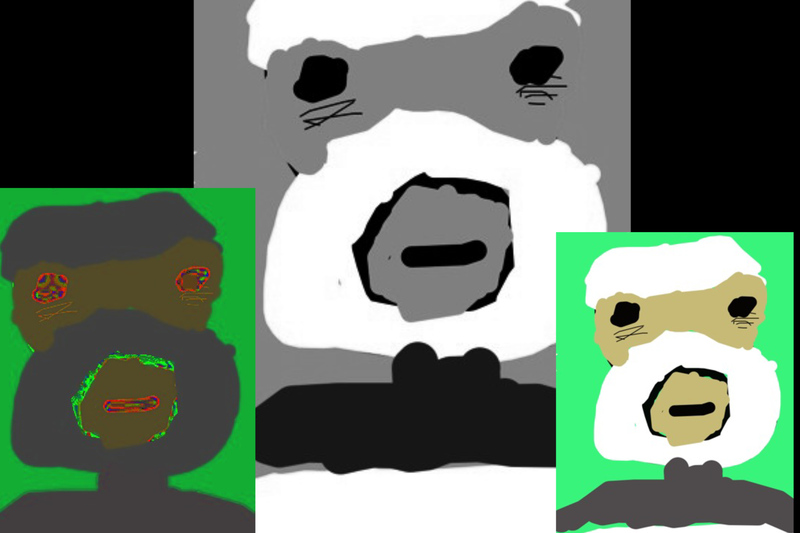 The children chose the pieces of art they wanted to talk about, there was not a particular reason of why they choose the ones the did, only that they were their favourite pictures, they also endeavoured to produce new digital art with an smart phone app. The children were very conscious of the fact that movie was about them, their play and their experiences everything was a reason to tell one of their endless stories in their infinite game. The creation of the piece brought many memories from their past games this created even greater fuller stories. There was tenderness within the imagination findings, and how they were expressed. Also a clear difference between the expression forms each child adopted. While one would speak about the most emotional side of the story and it inward world, the other will focus on the physical side and its relation to the outside world. This is extremely complementary within the piece, yet unplanned and natural. 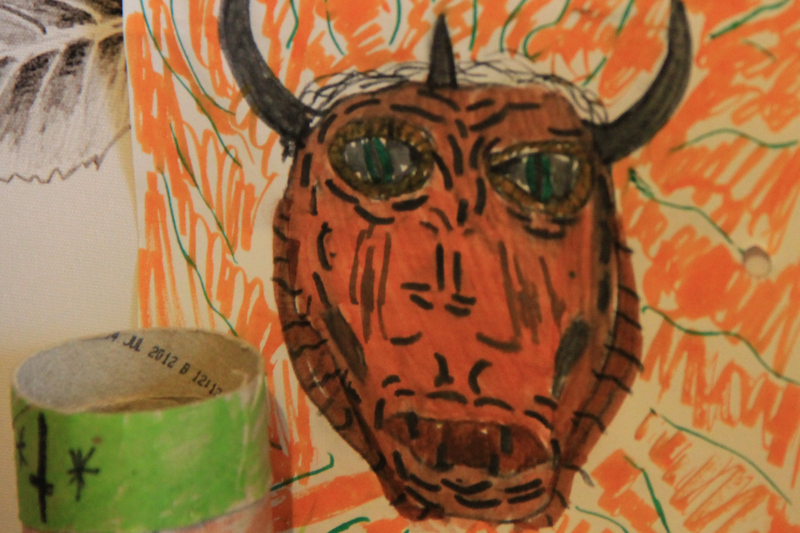 It shows how there is a part of the child’s soul given in within each piece he creates. 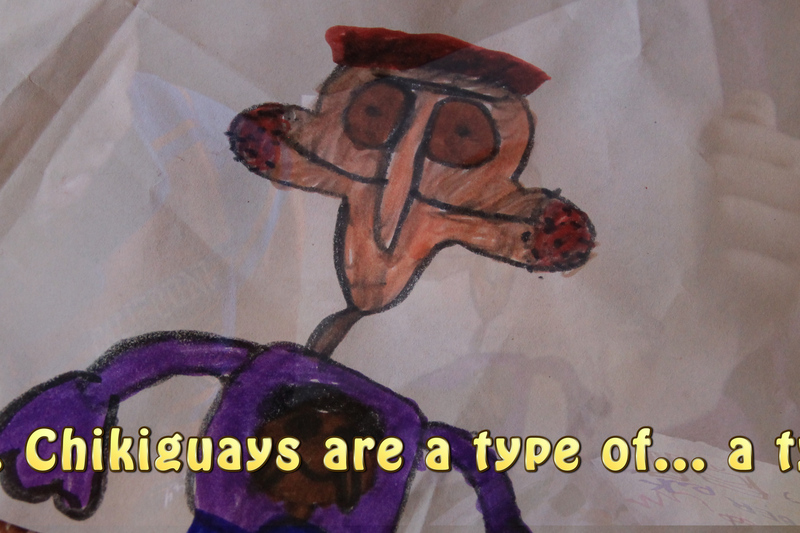 When talking about the “Chiquiguays” an invention of a type of very tender humans with long cheeks, a game my children have been playing for years and for which the have huge plans for the future, such a creating a film and a cartoon series etc, my youngest son who is 7, has been extremely protective, not wanted me to share any detail information about the “chiquiguys” so it would not get “copied”. Children are protective of their creations and they see it as they are, original and individual, a part of their identity. This particular drawing the Gabriel made at school when he was 6, stood out in his class so much that his teacher took aside to give it in to reception so that it would be hanged up in the school’s corridors or halls. Gabriel strongly objected to this, he wanted his picture to come home him. He is proud of and wanted to keep it, not to show it off, since having it hanging around the school would mean that he had to part with creation. The creation of digital art was such an inspiring and intricate part of the process, the children were creating specifically for the movie, yet their imagination was limitless and with no boundaries, no structures and nothing but a desire to do more. Editing was purely joyous. I do not remember having enjoyed something recently, as much I did editing this film. Listening to the stories behind each piece, admiring the works, getting more and more inspired with to constant art production and finding ways of putting in all in the movie in the most bright and powerful way. I discovered so many tricks, I didn’t know and amazing effects. Sound designing was an adventures call. I imagine all different effects to go with their stories the face expressions, their drawings and even their mood during the production process. The creative process of making the movie, driven by the boys’ constant desire to produce art, as a part of learning and playing, not to show it off but simply to enjoy, while they express their inwards worlds, marks one of many positions and influence of cinema that exists beyond the fringes of the Hollywood mainstream such as underground, avant-garde, experimental film and emergent cinematic forms which challenge dominant industry conventions of style and technique. In this particular exercise we explore motivation for creation and the purest source of the creative drive in human beings. This experiment demonstrates that artistic creation is a part of being human, and there is motivation other than the one mainstream film production employs. Considering the historical development of various factions of experimental film, from the early Absolute films of Eggeling and Richter, to the cinema of Warhol, Snow and Brakhage, culminating in contemporary video work of Viola, Wearing and Fiona Tan. Still life, tableaux and the artist in film as well as experimental currents in Eastern European cinema, it is vital to grasp the motivation for creation to understand the expression to the fullest so that it fulfill its purpose.